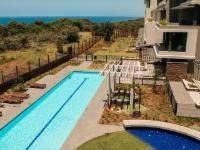 Relax Inn is situated along the stunning Dolphin Coast in KwaDukuza. The guest house has four bedrooms, which feature en-suite bathrooms, Wi-Fi Internet access, air-conditioning and tea and coffee facilities. The Inn also offers guests an airport shuttle, braai facilities, laundry amenities and parking on the premises. KwaDukuza has many great attractions in and around the area, including the outstanding Dolphin Coast Beaches, the Entumeni Nature Reserve and the Nkandla Forest. Self Catering Units Sleeps 2 Includes: B & B Rooms / Units: 2 2 x self catering units , sleeps 2 adults each. Relax Inn is 1.1km from the centre of KwaDukuza-Stanger , the nearest airport 35.4km (King Shaka International Airport).